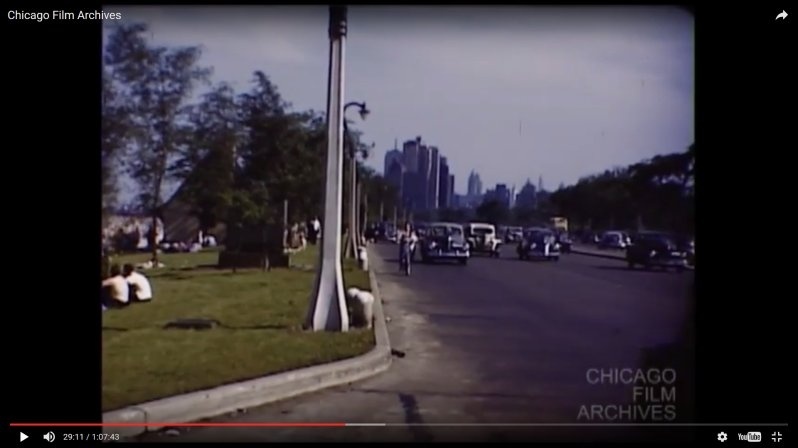 In …LSD South of River.. At the 29:08 mark is a shot of LSD around Fullerton with the old pneumatic lane divider and a BICYCLE RIDER on the drive headed north!! At 46:40 a nice shot of one of the giant gas towers that used to store natural gas north west of downtown. Then at 55:11 the same corner with the gas tower gone and Marina towers in the distance downtown. Someone here can probably figure out the corner.